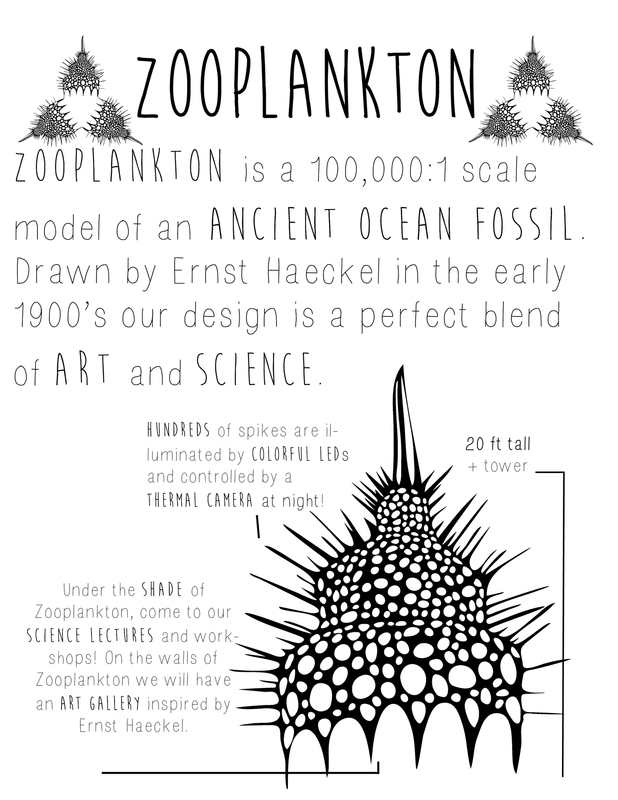 Zooplankton is an art gallery and science lecture hall that will be built in Black Rock City in 2015. A skeleton of an ancient protozoa, a jelly-like plankton creature that once floated in our seas, Zooplankton shows us that science can be the basis of art. 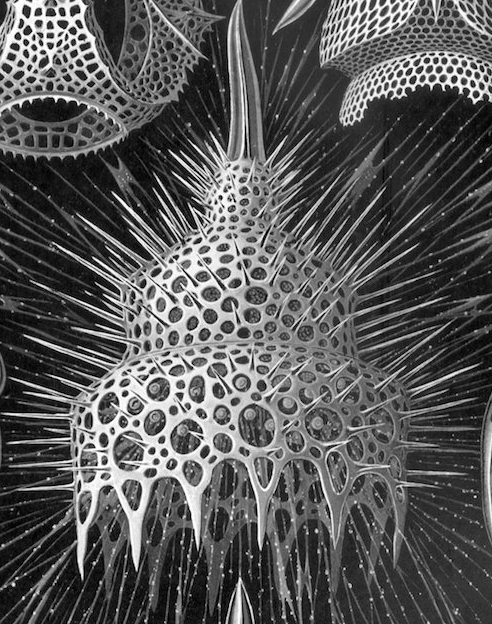 Based on sketches of Radiolaria drawn in the early 1900s by German biologist Ernst Haeckel, Zooplankton is an interactive art installation that beckons you inside to experience art and science together. By day visitors can enjoy the biological art of Ernst Haeckel etched into the walls of the Zooplankton and scientific lectures will be available. By night the Zooplankton will charm visitors with its dazzling bioluminescence. VIsit Zooplankton at OMSI 8/13-8/19 with lectures and microscope viewing Monday and Wednesday Noon-2pm! If you are interested in volunteering with Zooplankton please email us! Help Zooplankton Get to Burning Man! Zooplankton Project needs your help to get to Burning Man! We raised a bit of money through our IndieGoGo but we are short of our goal for transportation and electronics. 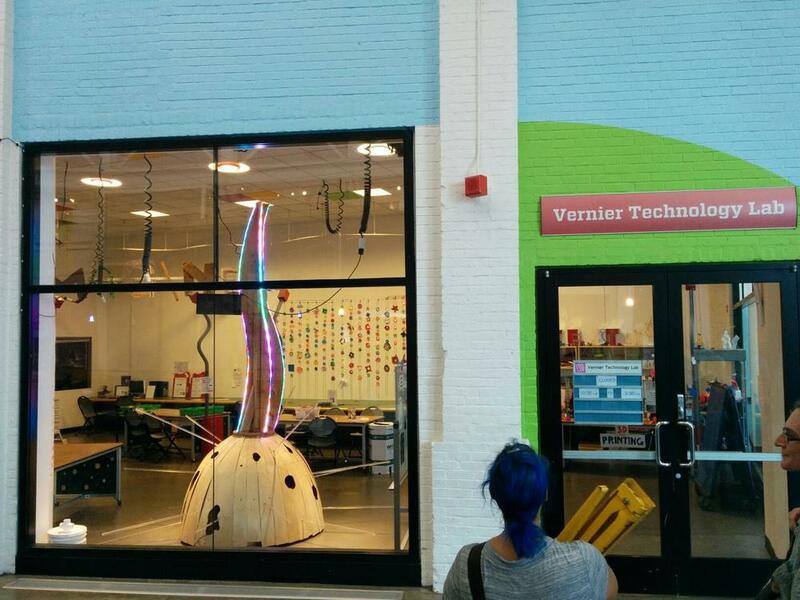 We did a bunch of brainstorming and Alysia, an awesome maker in the community came up with a brilliant idea! 3D printed Zooplankton medallions! You can use yours as a necklace, swag, or a small keychain. They even glow in the dark or under UV light! When you're walking around on playa and someone points and Zooplankton and asks what it is, you'll be able to tell them "It's a Calocyclas monumentum", the genus and species of our project, because it's printed right on the Zooplankton swag you have. We're only able to 3D print a limited number of these, so please help us with our last stretch to the playa this year!